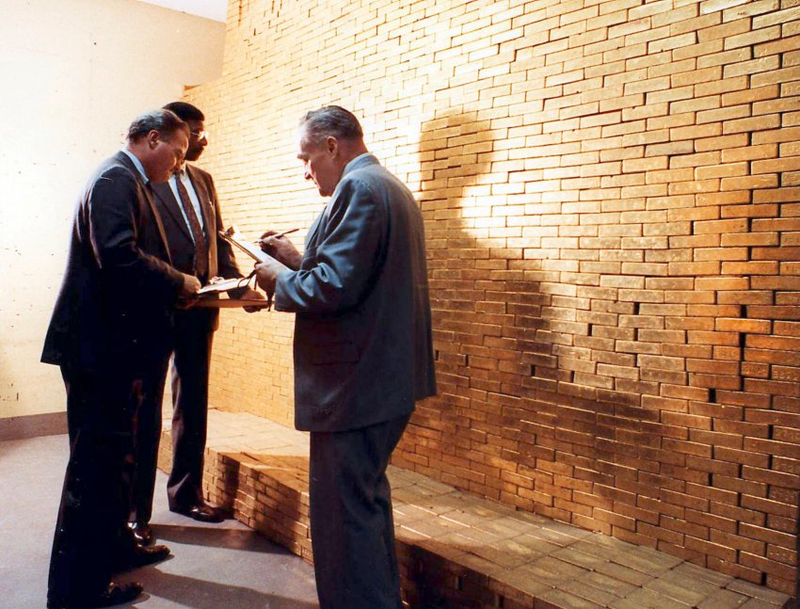 JNN 30 Nov 2014 New York : The financial crisis in Europe is prompting some nations to repatriate their gold reserves to national vaults. The Netherlands has moved $5 billion worth of gold from New York, and some are calling for similar action from France, Switzerland, and Germany. An unmatched pace of money printing by major central banks has boosted concerns in European countries over the safety of their gold reserves abroad. The Dutch central bank – De Nederlandsche Bank – was one of the latest to make the move. The bank announced last Friday that it moved a fifth of its total 612.5-metric-ton gold reserve from New York to Amsterdam earlier in November. It was done in an effort to redistribute the gold stock in “a more balanced way,” and to boost public confidence, the bank explained. Dutch gold reserves are now divided as follows: 31 percent in Amsterdam, 31 percent in New York, 20 percent in Ottawa, Canada and 18 percent in London. Meanwhile, Switzerland has organized the ‘Save Our Swiss Gold’ referendum, which is taking place on November 30. If passed, it would force the Swiss National Bank to convert a fifth of its assets into gold and repatriate all of its reserves from vaults in the UK and Canada. “The Swiss initiative is merely part of an increasing global scramble towards gold and away from the endless printing of money. Huge movements of gold are going on right now,” Koos Jansen, an Amsterdam-based gold analyst for the Singaporean precious metal dealer BullionStar, told the Guardian. France has also recently joined in on the trend, with the leader of the far-right National Front party Marine Le Pen calling on the central bank to repatriate the country’s gold reserves. In an open letter to the governor of the Banque de France, Christian Noyer, Le Pen also demanded an audit of 2,435 tons of physical gold inventory. Germany tried and failed to adopt a similar path in early 2013 by announcing a plan to repatriate some of its gold reserves back from the US and France. The efforts fizzled out this summer, when it was announced that Germany decided to leave $635 billion worth of gold in US vaults. Germany only keeps about a third of its gold at home. Forty-five percent is held in New York, 13 percent in London, 11 percent in Paris, and only 31 percent in the Bundesbank in Frankfurt. This entry was posted in Europe, United States and tagged De Nederlandsche Bank, Dutch Central Bank, European Reserves Bank, Gold reserve, gold reserves, Gold Resserves, New York, US Federal Reserve. Bookmark the permalink.